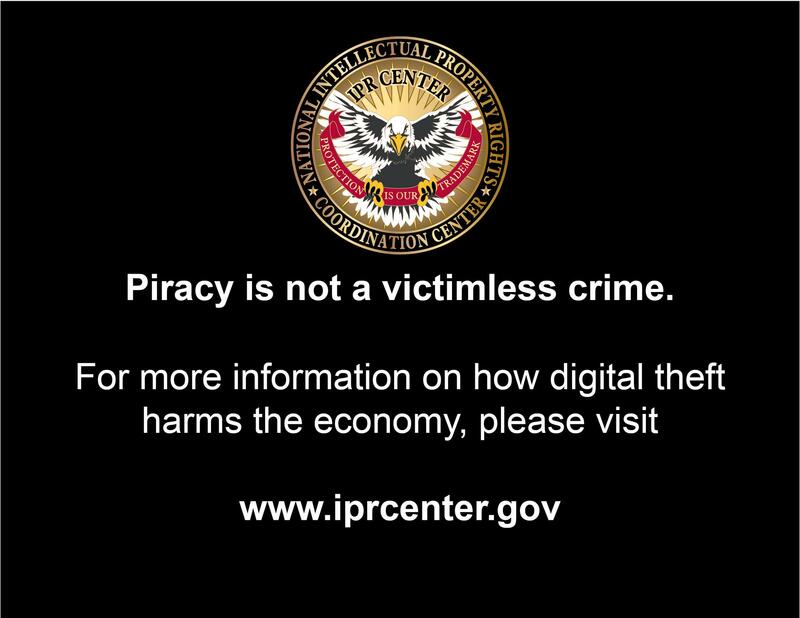 Two new anti-piracy warnings will soon be added to select DVD and Blu-ray movies, the U.S. government announced late Tuesday. 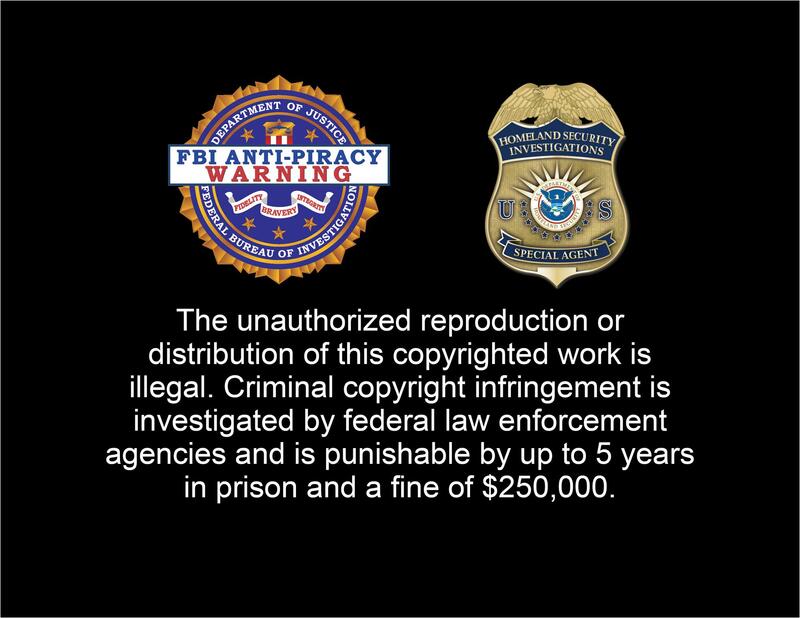 The additional warnings come courtesy of a coalition of copyright infringement fighters that includes the National Intellectual Property Rights Coordination Center (IPR Center), U.S. Immigration and Customs Enforcement’s (ICE) Homeland Security Investigations (HSI) wing, the FBI, and six member studios of the Motion Picture Association of America (MPAA). As some of you may recall, the HSI is the government organization behind Operation in Our Sites, which aims to seize websites accused of copyright infringement, either through the distribution of intellectual property like music, movies, and TV shows, or through the sale of counterfeit goods, like knock-off sports jerseys or fake Gucci bags. HSI has so far seized more than 760 domains. The organization boasts that this has led to the arrest or charing of 11 — yes, 11 — individuals for criminal copyright infringement, and the seizure of more than $1 million. These seizures have not all been above-board, however: Recently released court documents show that ICE held popular hip hop website Dajaz1.com for more than a year without a single scrap of evidence that it had been used to distribute copyrighted songs. The copyright industry asserts that piracy has cost the U.S. economy 360,000 jobs, $16 billion in lost wages, and $2.6 billion in lost taxes. More recent studies, however, show that revenue in the music, movie, video game, and book publishing industries has risen over the past few years. Regardless of which numbers you believe, it’s clear that the anti-piracy camp believes there is some progress to be made by posting new warnings on DVDs — though, if you ask us, this is precisely the wrong tactic. After all, the majority of people who are going to see these warnings have either purchased the DVD legally, or rented it legally, and are therefore clearly not the ones who need to be taught a lesson in copyright law. In fact, it is exactly these kind of condescending, pestering messages that drive people to pirate movies in the first place.